We stayed at this resort for two weeks over Christmas and New Years in 2013-2014. 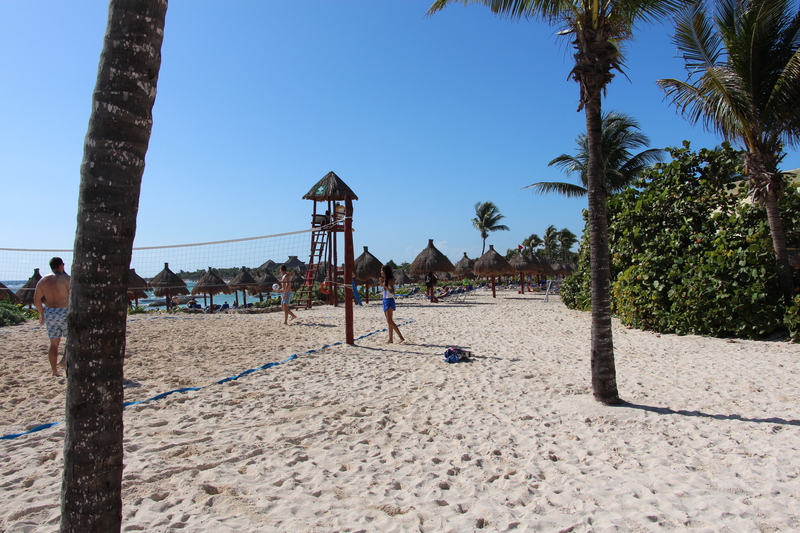 We were there with a group of 10, so we got a pretty good feeling for what the resort had to offer and what others’ experiences were as well. We stayed in the 200 block and our wheelchair accessible room was on the main floor. 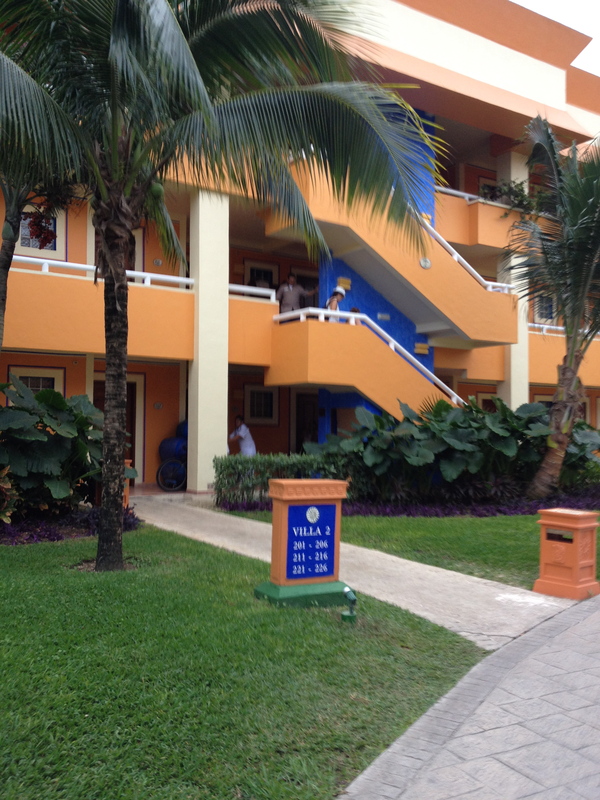 We had a great family vacation at this resort and it was very wheelchair accessible. 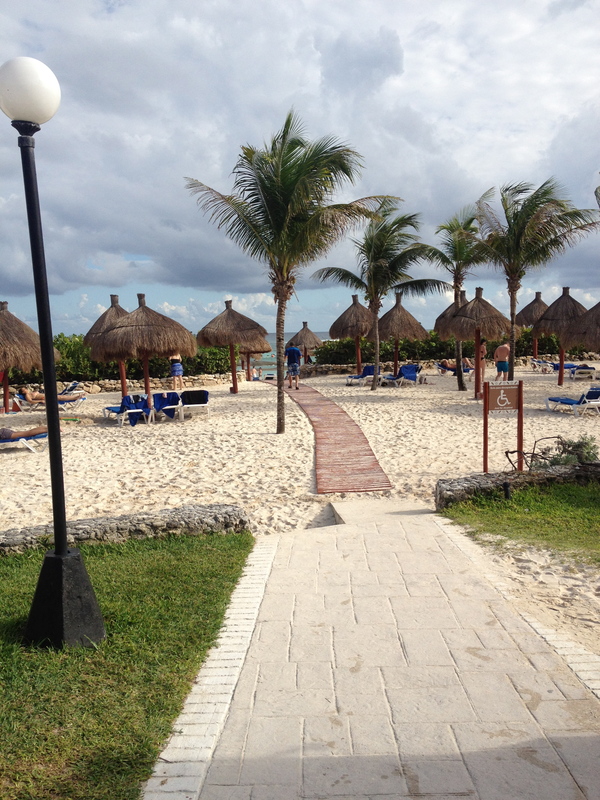 There were ramps everywhere and the lobby, buffet, pool area and beach were all accessible by wheelchair. 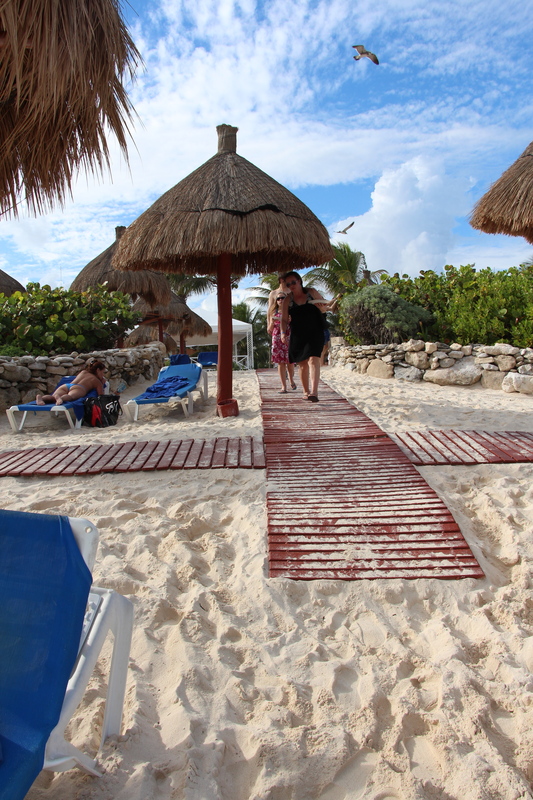 There was a wooden mat that went a long way on to the beach, so you could wheel right down to the water if you wanted and there were loungers there for people with mobility issues to use. These types of features are hard to find, so we were pretty impressed by this. 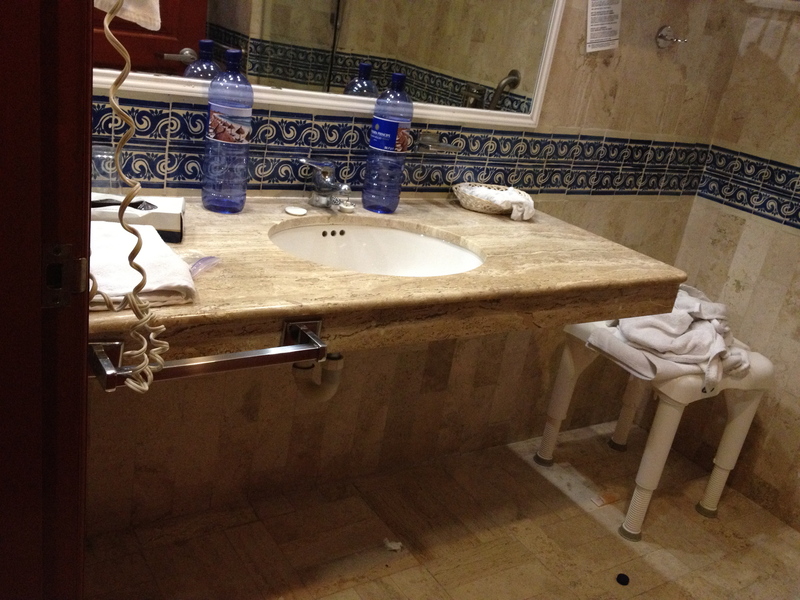 Our room was outdated but the bathroom had a wheel-under sink, a wheel-in shower and grab bars by the toilet. The grab bars by the toilet were far away and awkwardly placed but we asked a manager about this and they delivered a special toilet seat to our room that had arm rests and this helped a lot. 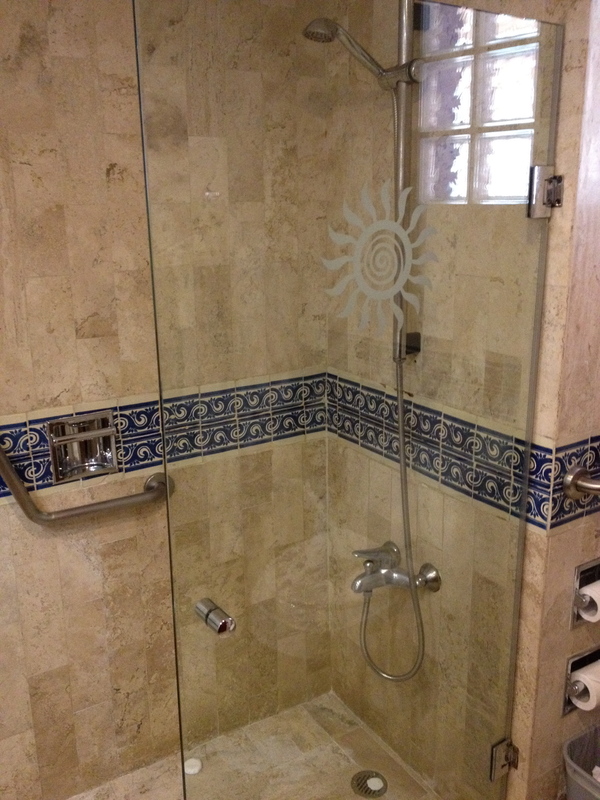 We were able to request a shower bench for the wheel-in shower. It was plastic and quite small (and not overly stable) but the height was adjustable by rotating the legs. 1. They had a great Kids’ Club with exceptionally nice staff members. They did lots of crafts and activities with the kids during the day. 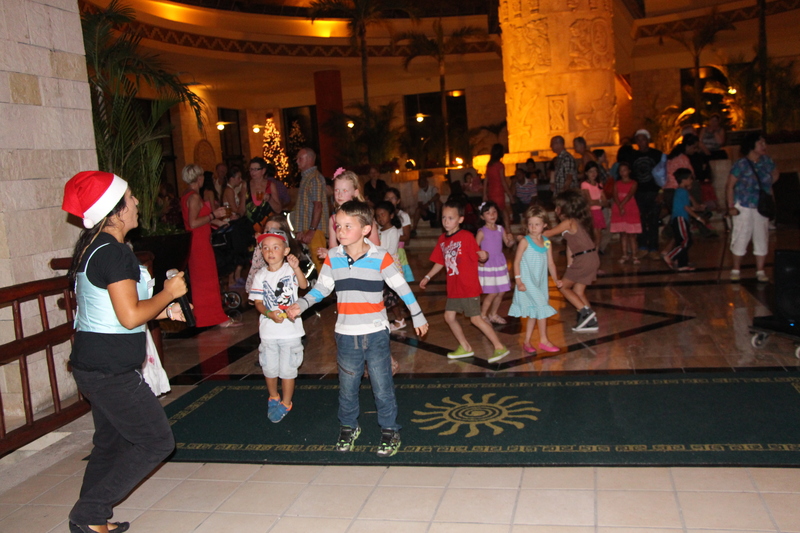 After dinner every night, they did a mini disco for the kids in the lobby where they danced and sang songs (and burned off some energy). 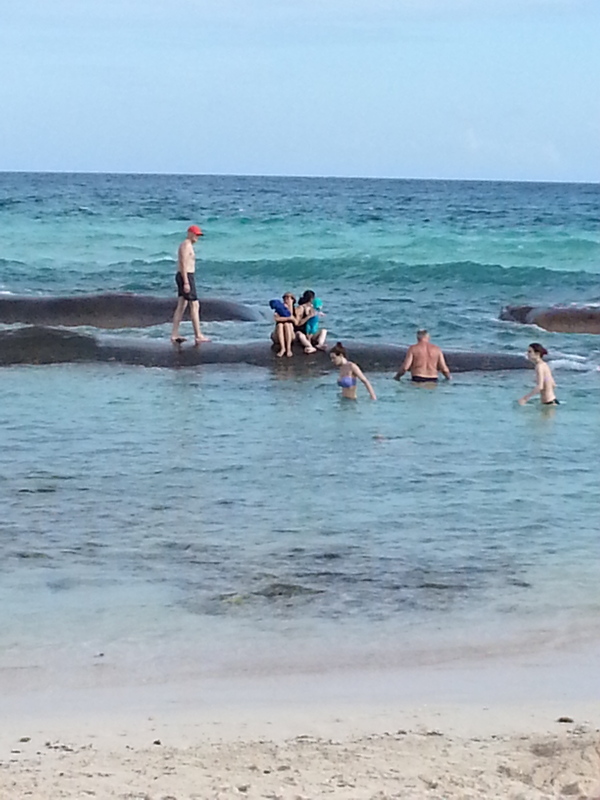 They also did a beach party for the kids on New Year’s Eve. Our kids weren’t old enough to attend the Kids’ Club but when we went in to check it out, the staff gave them little Mini Club T-shirts and made a big fuss over them. 2. The pools were very nice and not too cold. There were a few different pools, so we had the option of being at the main pool or going to one that was closer to the snack bar. 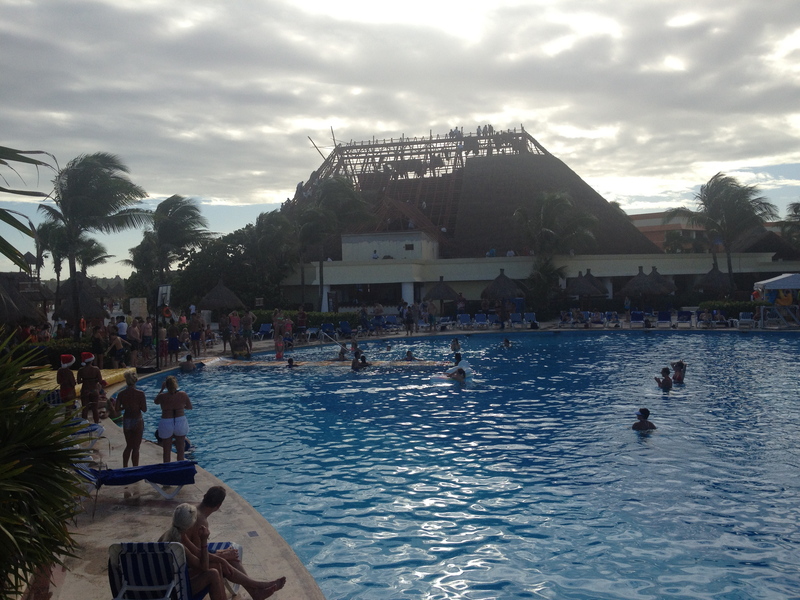 There was a swim-up bar right in the main pool and a regular bar beside the other pool. 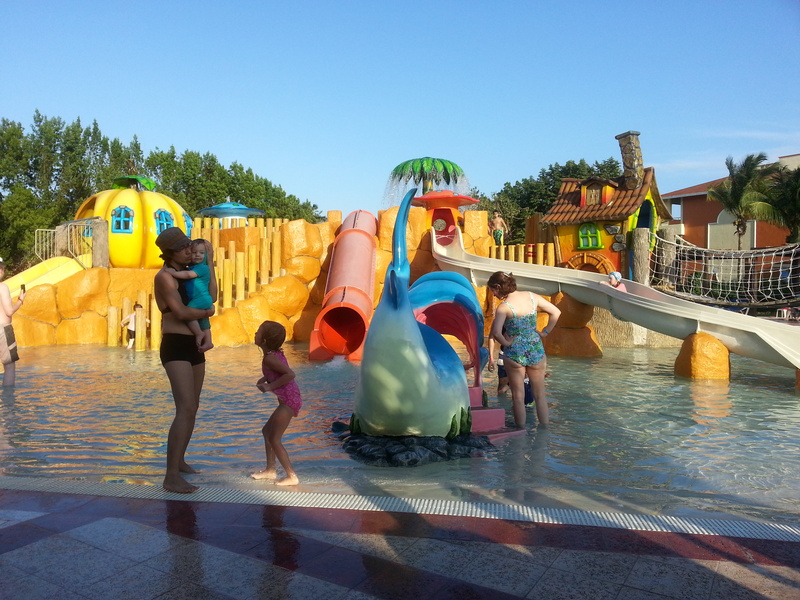 There were lots of loungers available by the pools and there was entertainment at the main pool in the afternoons. 3. The service we received at the buffet was exceptional. They served our group of 10 almost every day and they were very efficient and very good to us. 4. The resort was large and we never ran out of things to do. 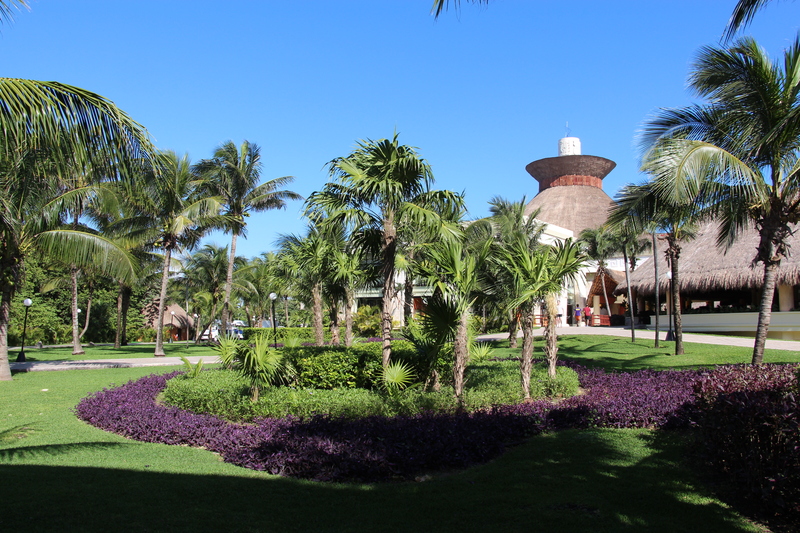 There is a huge market with clothing and souvenir shops right by the entrance and there are two sister resorts, Coba and Akumal, that are within walking/wheeling distance (or, if you are able-bodied, you can take the free trollies that go between the resorts all day long). 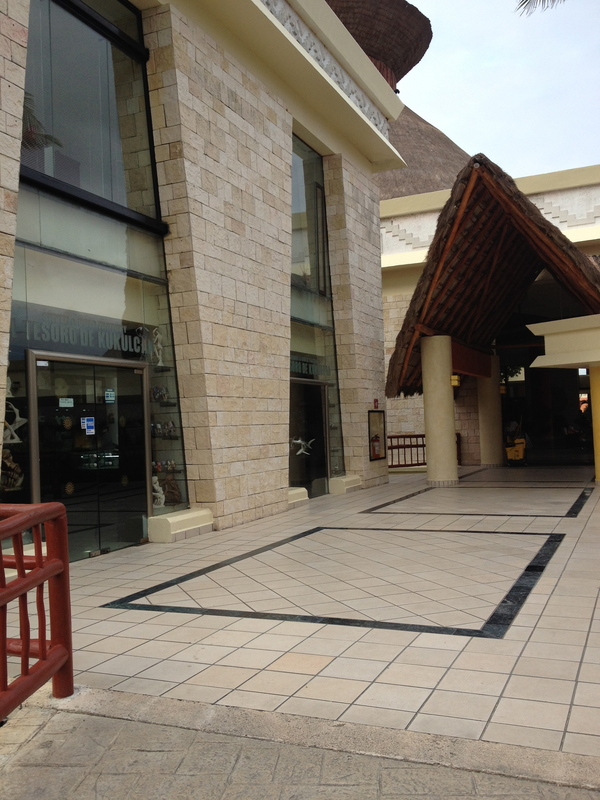 There is some shopping at the sister resorts as well and you can eat at Coba for free. The buffet over there is quite good and the service is very good. 5. 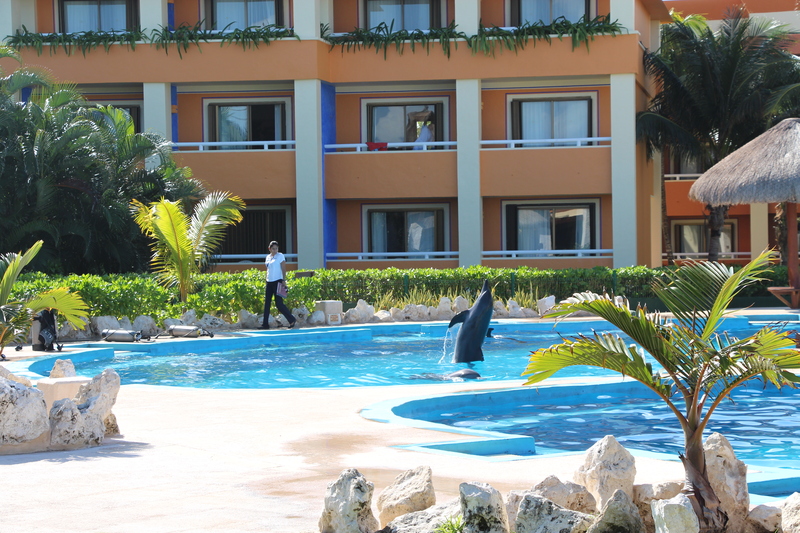 There was a dolphinarium at the resort. I wasn’t sure where to put this as I think dolphins are amazing but I don’t think keeping dolphins in captivity should be encouraged. I’m putting it on the good list because dolphins are so incredibly beautiful to watch. You can learn all about them, swim with them, kiss them and interact with them if you pay for one of the dolphin experiences at the dolphinarium. 6. The beach was clean and there were big bags of sand in one part of the ocean to calm the waves. There happened to be some great snorkelling close to the sand bags. 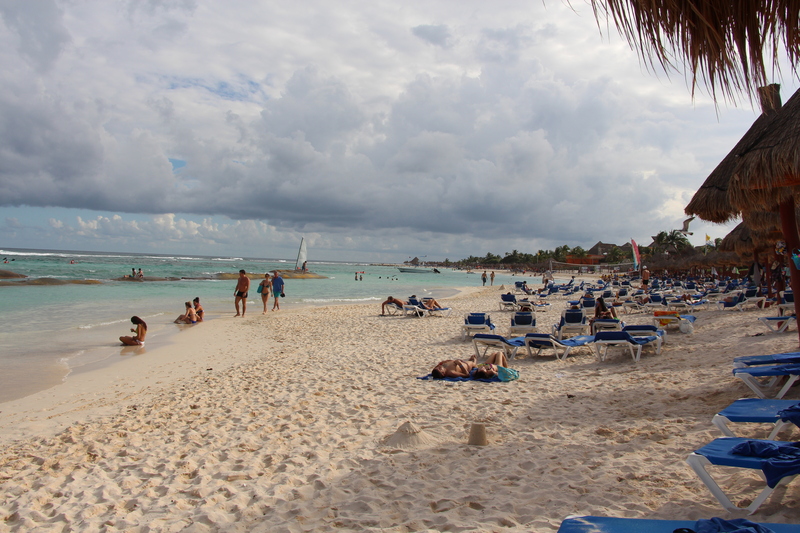 There was a long stretch of beach between the Tulum resort and the Akumal resort that was relatively quiet and not too crowded. 7. 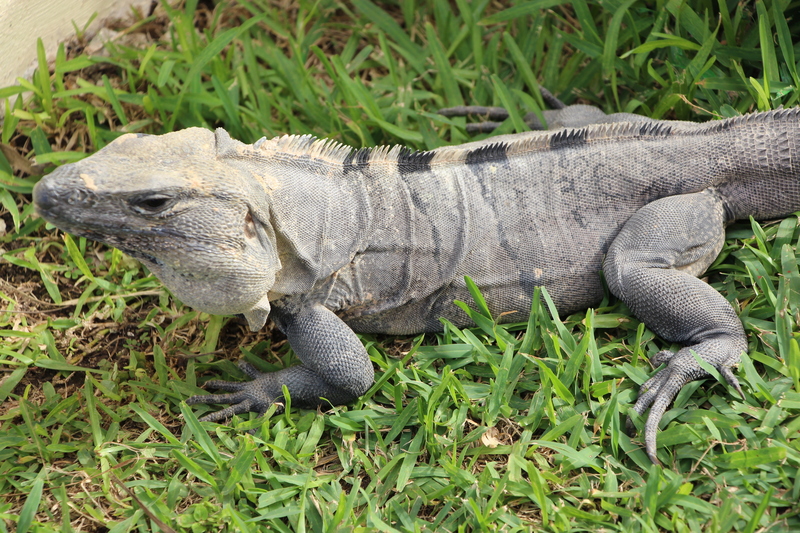 The grounds were immaculately maintained and there were lots of little critters to take pictures of. 8. 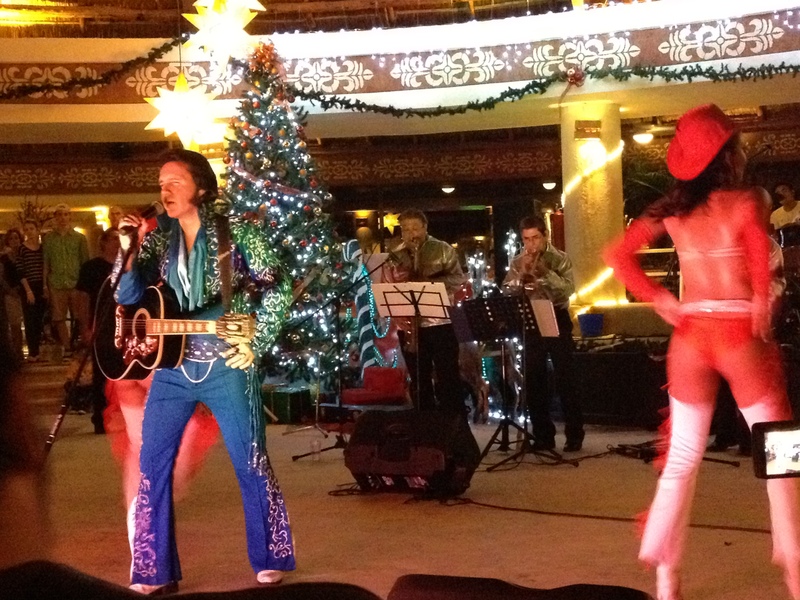 There were shows and entertainment at the resort every night. We only saw 2 of them but the rest of our group saw more and they said they were well done. 9. 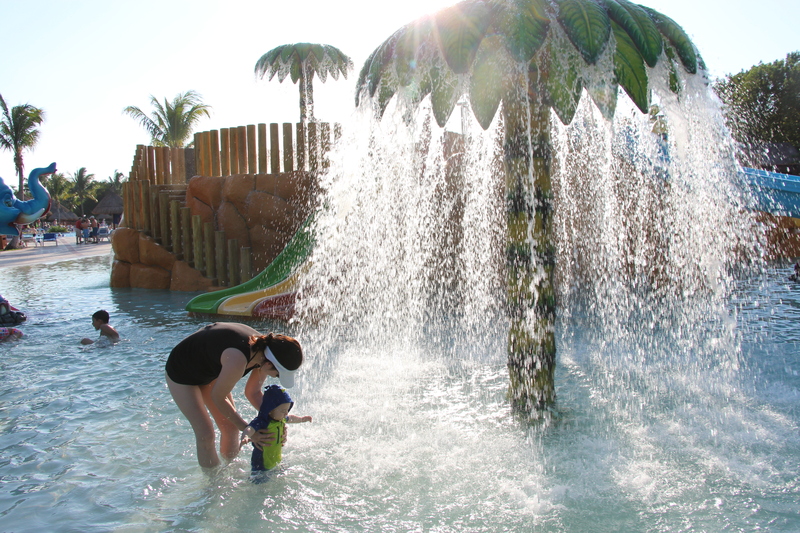 The Coba resort (sister resort) had an amazing water park for kids of all ages. We could have spent several days there running around with the kids. There were lots of loungers for parents with older kids to relax on and we were able to find loungers in the shade so that the really little ones didn’t get too hot. 10. 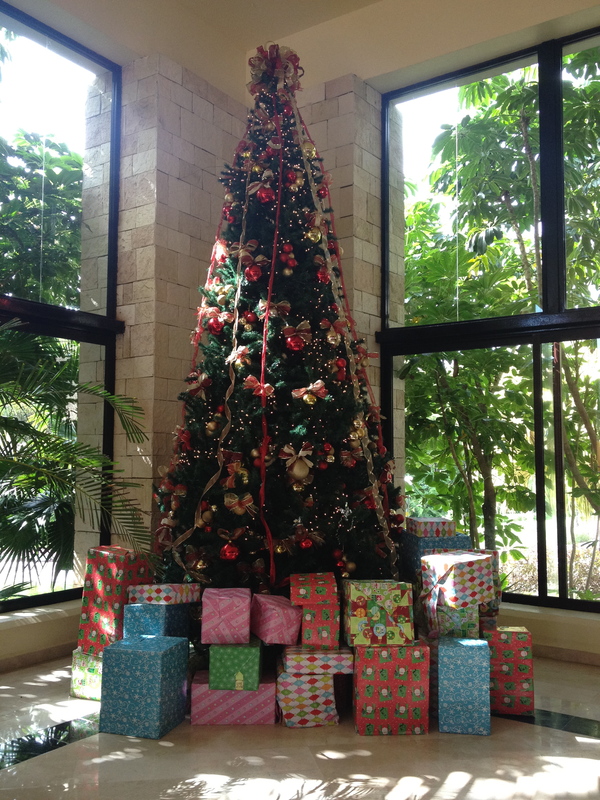 They did a good job of celebrating the Christmas and New Year’s festivities. 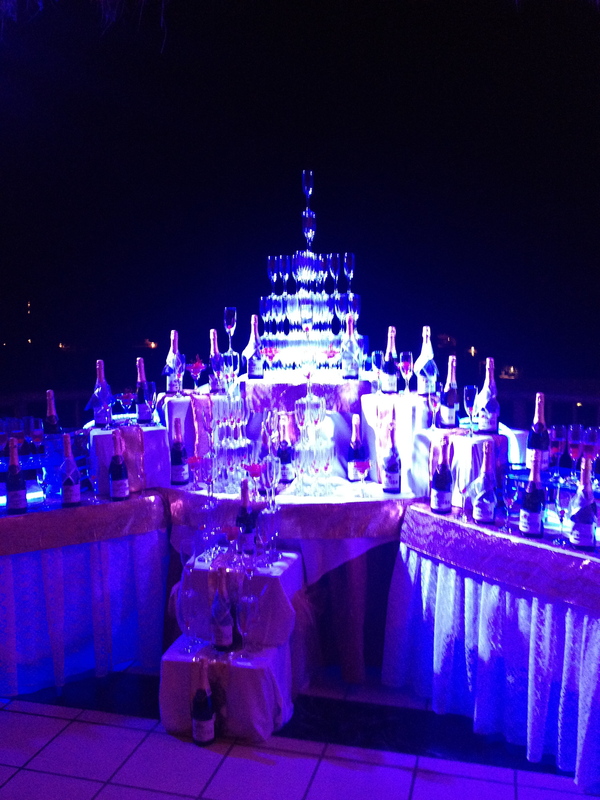 They had a special dinner on Christmas Eve and on New Year’s Eve. Santa came on Christmas Eve and gave little gifts to all of the kids. 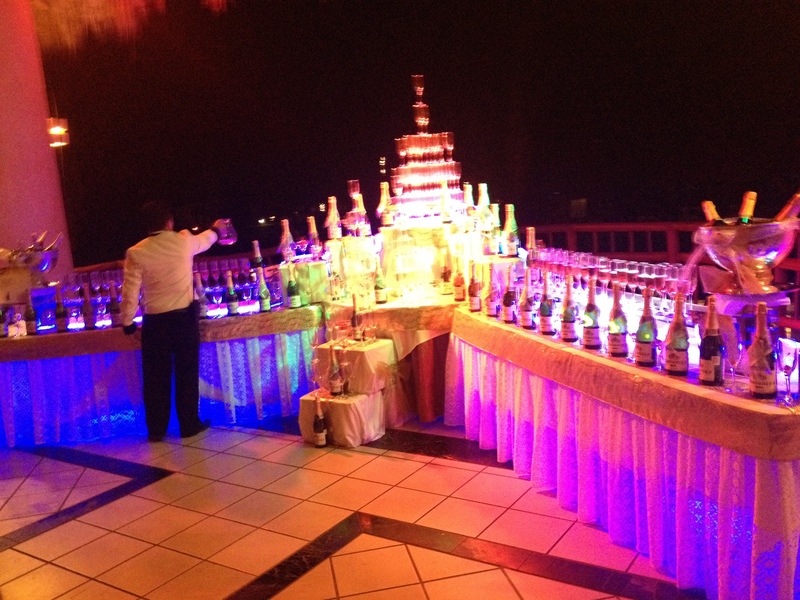 On New Year’s Eve, they had a huge party with music and lots of crazy festivities. We missed it because our kids were pretty little and we were in our room with them but we heard the next day that it had been very wild. 11. 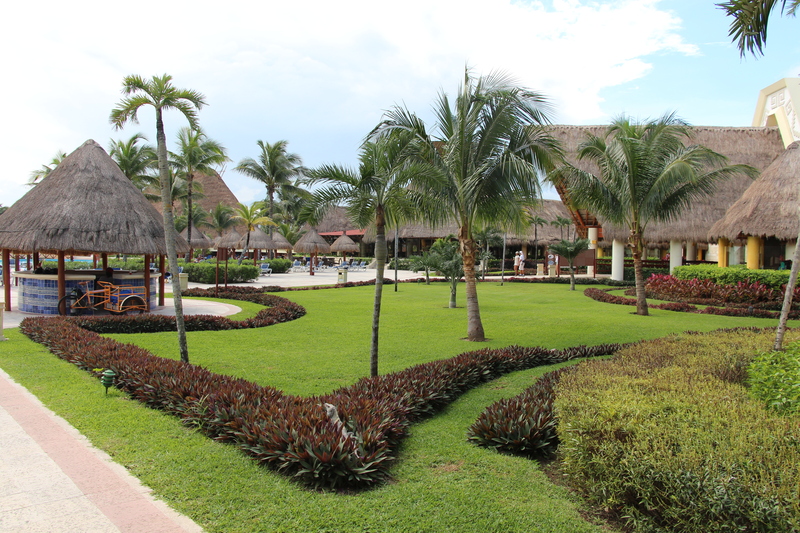 This resort worked out well for a group vacation as it was so large and there was such a variety of things to do. Everyone, despite different age groups and abilities, was able to enjoy themselves. It was easy for people to go off and do their own thing during the day and then meet up for dinner. 12. There was free wi-fi in the lobby. The connection was occasionally unavailable but it was convenient to be able to check email on the way through the lobby. 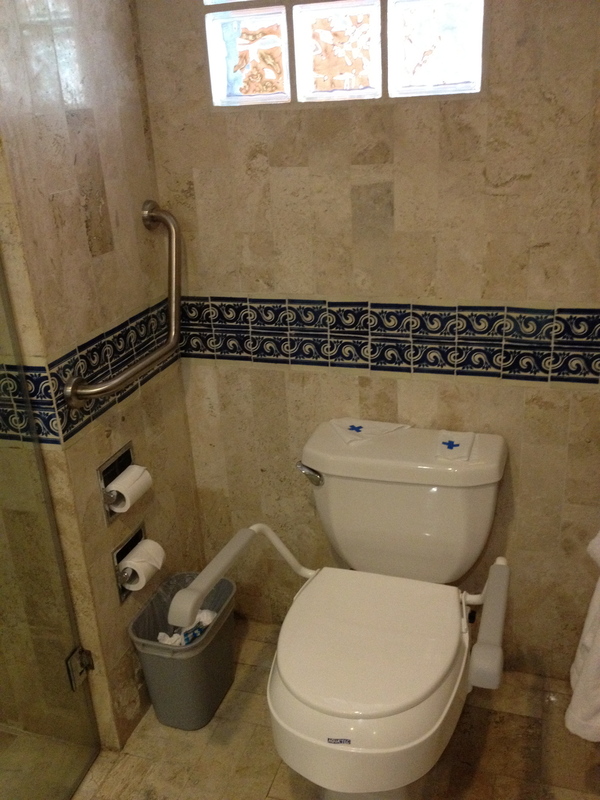 In terms of accessibility, there was only one wheelchair accessible bathroom in the public area of the resort. It was located by the lobby, but if we were eating at the buffet or out by the pool, it was a little inconvenient to have to go all the way back to the lobby to use the washroom. 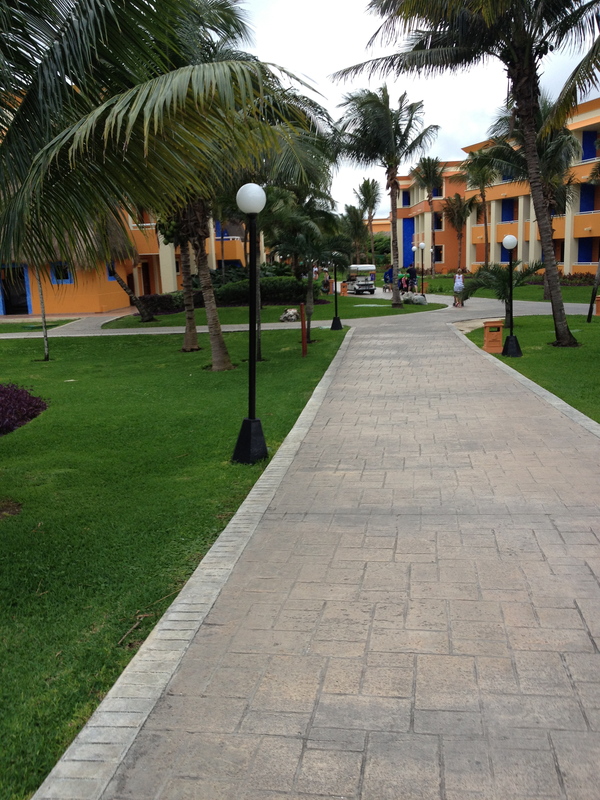 The paved pathways around the resort were all cobblestone. It wasn’t that big of a deal but those in wheelchairs will know that wheeling on an uneven surface is not nearly as relaxing as wheeling on a paved pathway. The sister resorts, Coba and Akumal, were accessible by free trollies that ran all day and all night long but the resort did not have a wheelchair accessible trolley. We carried my husband on to one of the trollies on our way to the Coba resort and a family member carried the wheelchair on the back. This was very difficult and very inconvenient. On our way back, we decided to just walk/wheel back (at the dismay of the staff) and it only took us about 15 minutes to get back to our resort. Walking/wheeling was a way better option. The room we stayed in was quite outdated and the bathroom was very small. 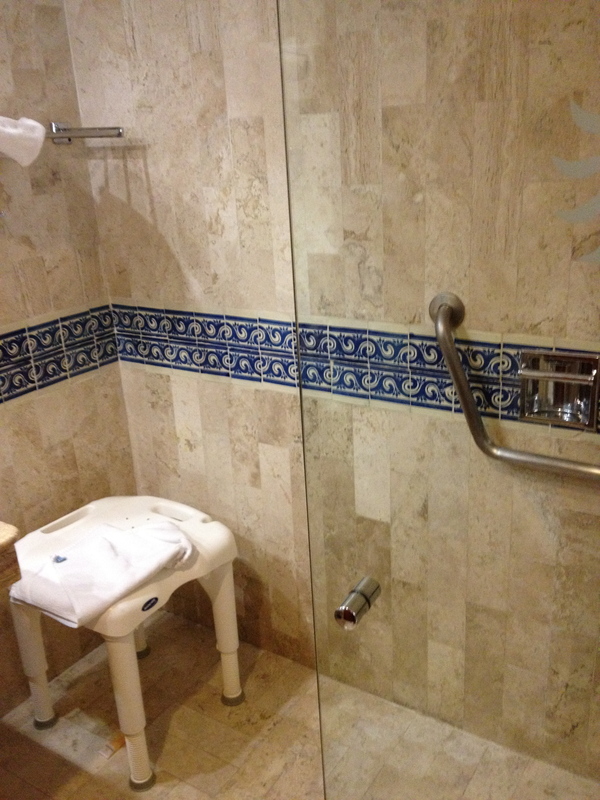 It was very difficult to shut the bathroom door once the wheelchair was inside. We had to push the glass shower door in all the way so that my husband could squeeze right into the shower and then I would attempt to sneak the door closed behind his wheels. It was a really bad design for wheelchair users. 1. The toilet in our room was broken and basically not attached to the floor. It almost fell over when my husband transferred on to it. They did a crappy (ha ha) job trying to fix it and we eventually had to switch rooms because it was unsafe to use. 2. We asked the mini-bar staff and front desk staff repeatedly for juice and water in our mini-bar instead of pop and beer. They always said no problem. Despite leaving big tips, we never received juice or water in the mini-bar in the entire 2 weeks we were there. Also, because our kids usually napped in the afternoon when they made their rounds to stock the mini-bars (and we would put the do-not disturb sign up), they would usually skip our room and not come back. 4. We asked the front desk for a bottle of water and they said they could not give us one but they could deliver it to our room. We asked if they could deliver 2 bottles of water to our room if they were going to send someone with it and they said it was no problem and that they would make sure we received 2 bottles of water in our room every day. They weren’t delivered to our room that day until 10:30pm (woke our kids up again) and they never sent them ever again. I think this resort hoards the water bottles because apparently their tap water is filtered and safe to drink but it is weird to ask for a bottle of water in Mexico and be told no. 5. The staff broke a bunch of glass outside of our unit one day and there were giant shards of glass everywhere (bad for kids’ feet and wheelchair tires). We asked to have it cleaned up and nothing happened that day or the next day. We finally asked the housekeeping staff if they could clean it up and they picked up most of the big pieces of glass. We cleaned up the rest. 6. The buffet food was just so-so. We ate there for almost every meal for two weeks and most of the food had little taste. The desserts left a lot to be desired (which is maybe a good thing if you are trying to behave!). A lot of the trays at the buffet sat empty for a long time. If you wanted guacamole, for example, you had to be there right when it was set out, otherwise you would have to wait another 30 minutes for the tray to be re-filled. We heard that the food at the specialty restaurants was better but we didn’t have the opportunity to try any of them. 7. The snack bar food during the day was okay (pasta, fries, salad, burgers, soft ice cream, etc.) but at night it was by order only. I am vegetarian and the only vegetarian thing on the menu was nachos. I went there to eat very late on the first night we arrived (after not eating for the entire day, I was absolutely starving). The “nachos” (stale plain chips with cold, watery cheese), however, were so bad that I decided I would rather go hungry until the next day than try to swallow them (that should tell you something!). The late-night food was absolutely inedible. 8. 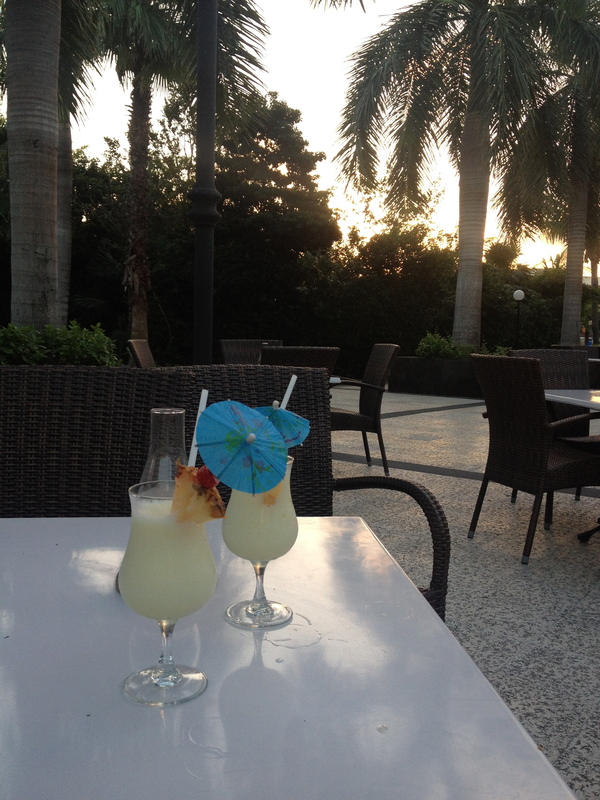 If you want a drink at this resort, you will have to get it yourself. No one will come around asking if you want a drink or if you need anything. 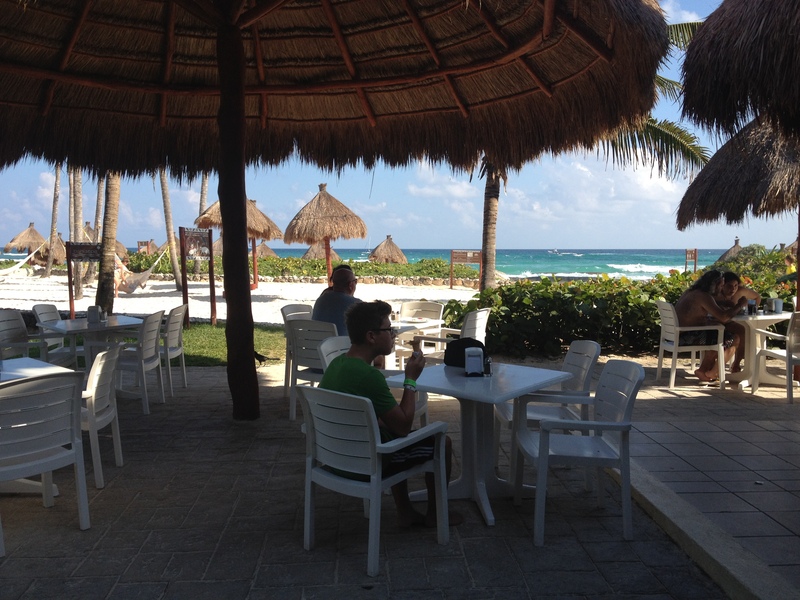 When we were at Coba, the sister resort, we got asked 4 times in one afternoon if we wanted a drink, but this never happened at Tulum in 2 weeks! 9. The cribs we were given for our babies were very dirty and the mattress portion of the cribs was too small for the crib and hard as a rock. 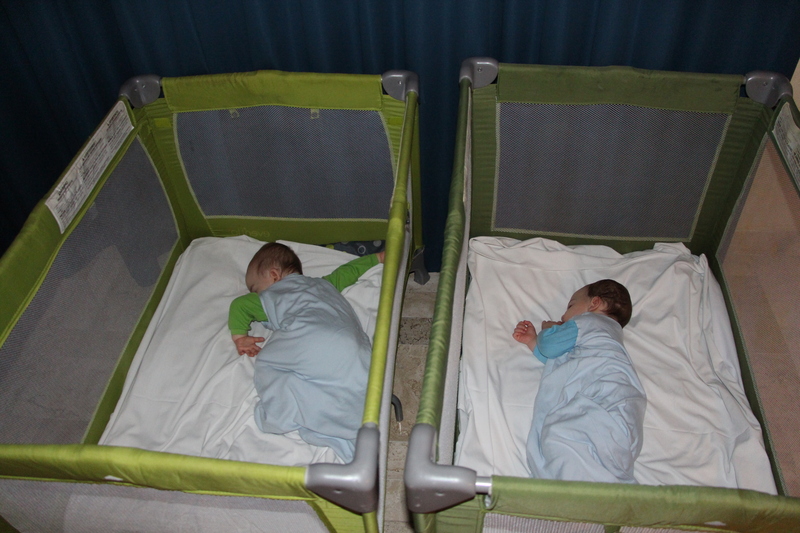 As a result, we usually ended up having them sleep with us in our bed (4 people to one bed = very little sleep). 10. The AC did not work properly in our room. It seemed to switch off at night and the room was very hot all night long. 11. The system they have for the in-room safes is weird. 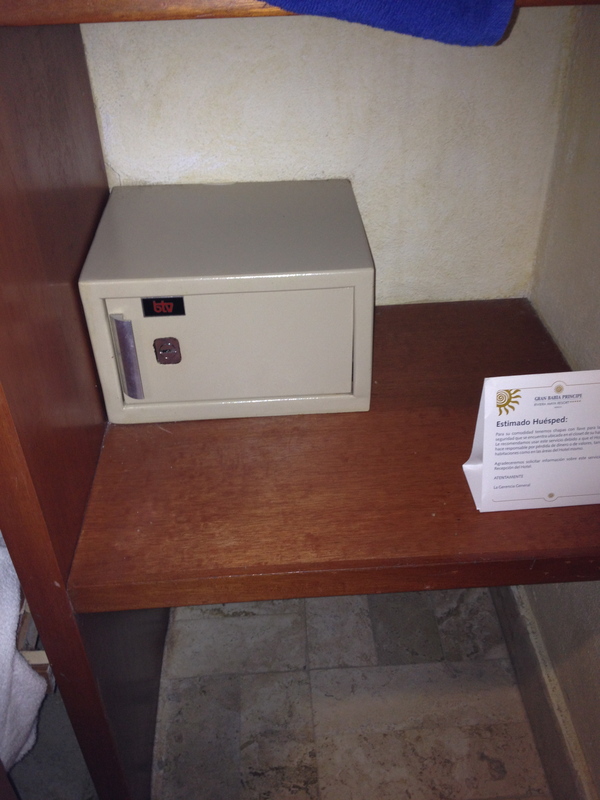 When you check in, they give you a key and a component for the locking mechanism to insert into the door of the safe. Depending on the type of reservation you made, you may or may not have to pay extra for the lock and key. The safe is extremely tiny and you will likely only be able to fit your phone, important documents and your cash inside. You cannot fit an iPad in the safe. 12. Some members of our party had issues upon check-in with the wrong room being provided. 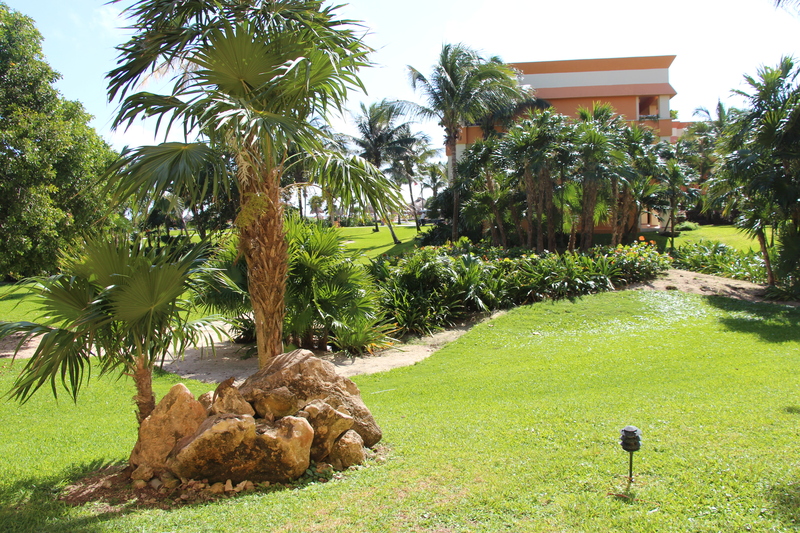 Make sure you call or email the resort prior to arrival to confirm that you are getting exactly what you paid for. Bed bugs! I probably don’t need to say any more than that, right? 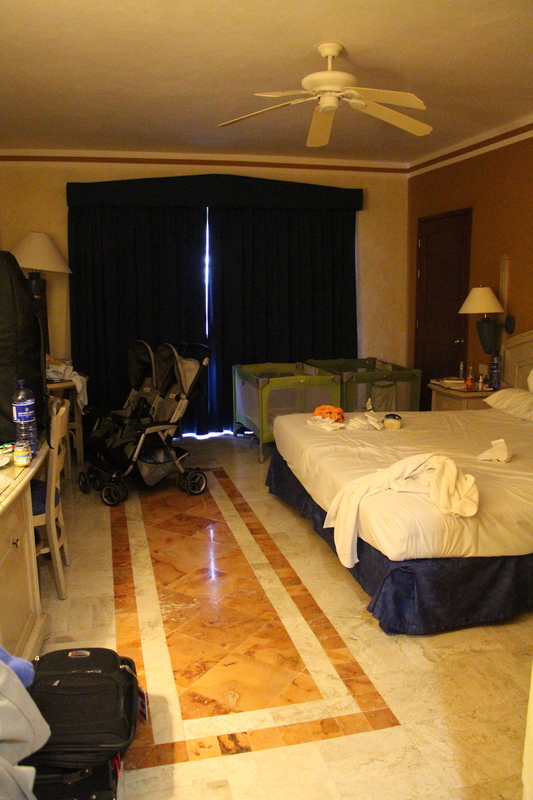 They supposedly fumigated our room 3 times and fumigated our new room and it did not seem to help. We came home with several bites and another group in our party had the same experience. When we told the front desk that we thought our room had bed bugs, they didn’t even bat an eye. They just told us that they would have someone come to fumigate the room. BAD SIGN! Also, I hung one of my shirts out to dry on our balcony after it got soaked at the pool and it got stolen. We even saw the guy walk by and take it as our balcony door was open. I really do know better than to trust that my things will be safe on a main floor balcony but it was still kind of shocking that it got taken in the middle of the day while our balcony door was open. My best advice is to go to this resort with realistic expectations. You do need to be prepared for the fact that it is NOT a 5-star resort. The food isn’t great, the service can be hit and miss and you will notice that they are trying to save money by cutting a lot of corners. However, the resort is located on a beautiful stretch of beach, it is large and can accommodate a variety of interests and it is all-inclusive, which makes life easy when you are travelling, particularly if you are travelling with a group or with kids. If you get a good deal on the price and you go with realistic expectations, you will most likely enjoy your time here. 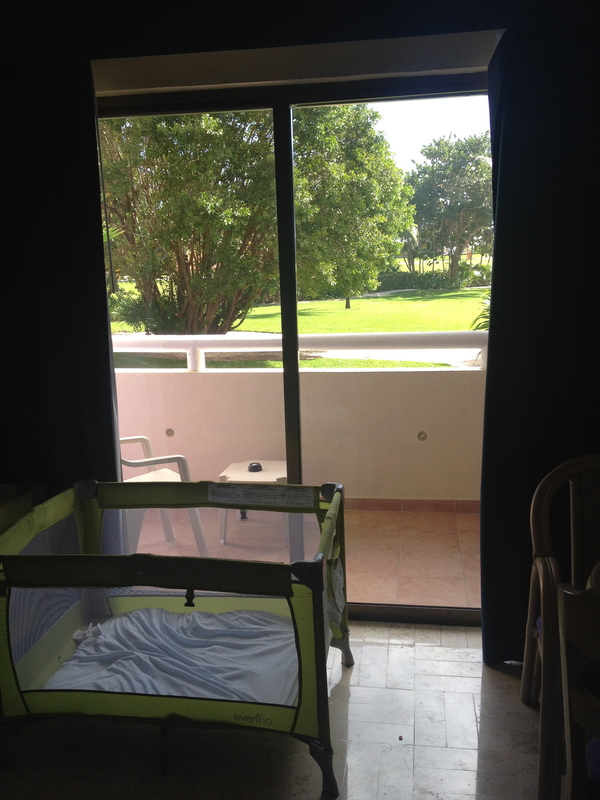 If you have kids, I would recommend staying at the cheaper Coba resort. 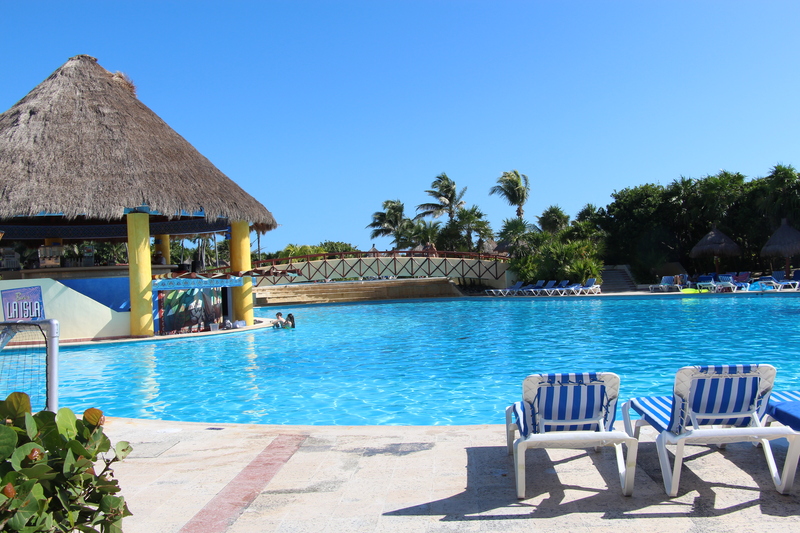 Although I don’t know what the rooms are like over there, the water park was great for kids, the service seemed better to us and the food at the buffet seemed just as good as the buffet at Tulum. Transportation in Mexico can sometimes be tricky, especially when you are travelling with a wheelchair and two babies. For transportation to and from the resort, we used Cancun Accessible (www.cancunaccesible.com). We have used them in the past and have had a great experience with them. They were waiting for us when we arrived (even though we were very late getting in) with a big, accessible private van and were very patient as we strapped the kids in to their car seats. They helped load all of our luggage and it was a very smooth one-hour trip from the airport to the resort. On the way back to the airport, they brought the wrong vehicle and created a bit of a problem for us as it wasn’t big enough to fit the wheelchair and the rest of the family. I ended up taking separate transportation with the two kids and we met up at the airport. 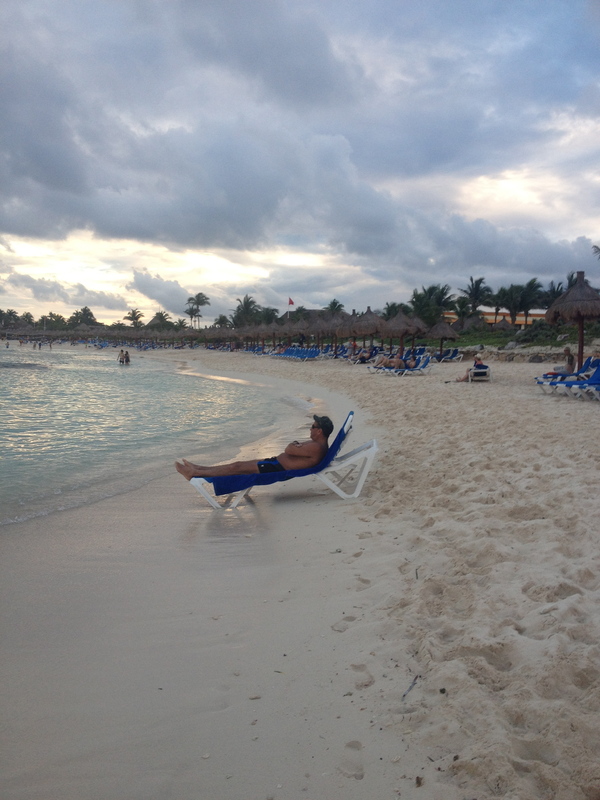 To the credit of Cancun Accessible, they admitted that they had sub-contracted out the pick-up to another company and that the instructions had been miscommunicated. The other company had brought a van for a child in a wheelchair, not an adult. Even though we had pre-paid for the round-trip transportation, they did refund us 100% of our trip from the resort back to the airport. It was the right thing to do but we were not expecting it. 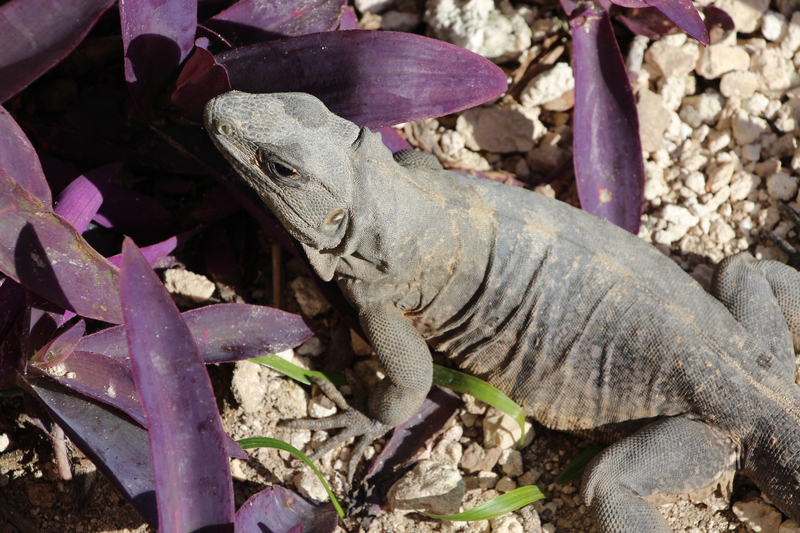 Based on the way they responded to this incident and our previously good experiences with them, I would probably use them again if we were to return to the Cancun area. 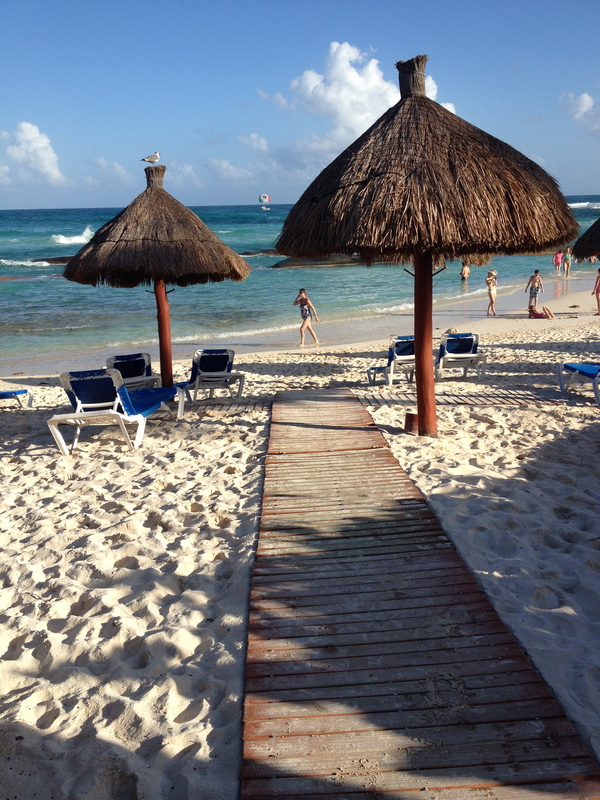 This entry was posted in Akumal, Mexico and tagged accessible, accessible all-inclusive, accessible bathroom, accessible beach, accessible resort, accessible transportation in Mexico, Akumal, all-inclusive, beach, Christmas in Mexico, Dolphinarium, entertainment, grab bars, Grand Bahia Principe Coba, Grand Bahia Principe Tulum, kids' club, Mexico, New Year's Eve in Mexico, Tulum, water park, waterpark, wheel-in shower, wheel-under sink, wheelchair by papawheelieblog. Bookmark the permalink. Good thing you have a sense of humour!